Delivering technical data for over 40 years, Autodata has amassed huge databases of information. This provides an incredible range of possibilities, whether you’re looking to access wide varieties of data, or very specific elements. Working with TIBCO Mashery, we provide a secure and easy-to-use API that delivers access to our data in logical building blocks. You just select the information you need and the API delivers the correct building blocks. Autodata provides the most comprehensive and up-to-date technical information for the automotive aftermarket. Our data is licensed directly from vehicle manufacturers and covers over 34,000 models across 142 manufacturers. The Autodata API has been designed to allow you to easily integrate technical content into your own systems with minimal investment in both time frames for technical development and associated costs. Unlike many solutions, there is no need to reintegrate with the Autodata API to evolve your own solutions once you've set up. The API is designed to keep sending through the information and updates, allowing you to focus on developing your solutions. The Autodata API delivers a low maintenance and highly reliable solution with all the relevant data constantly and instantly updated without you having to make any changes. Established in 1972, Autodata is a leading provider of technical information to the automotive aftermarket. Our data is licensed directly from manufacturers and covers over 34,000 models across 142 manufactuers around the world. All the information we provide is researched by industry trained professionals that understand cars and the way technical information is used in the workshop. This means we can provide the most comprehensive, accurate and up-to-date technical information for the automotive industry. Through a commitment to innovation we continually develop and provide solutions that are designed around the needs of our customers. Our web application helps save time, money and improves the profitability of workshops around the world. 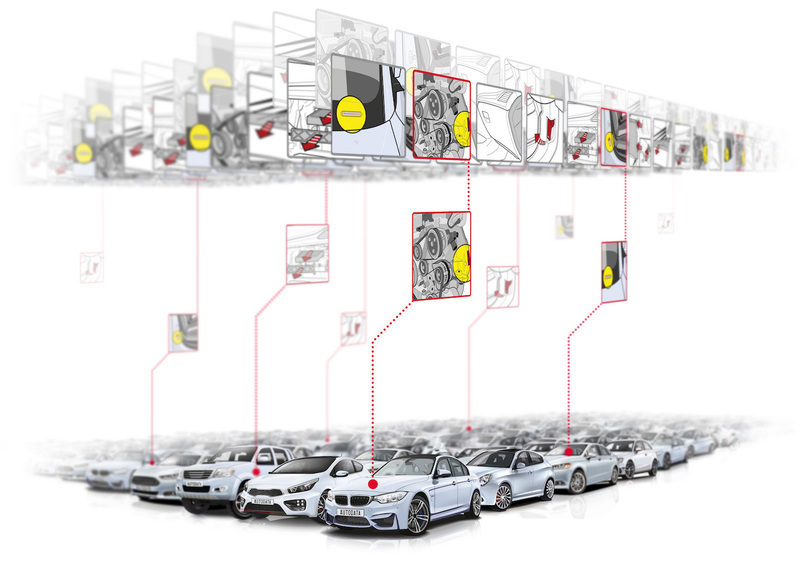 Powering our own web application as well as integrating with our customers' solutions, the Autodata API enables quick, flexible and cost effective access to the most up-to-date and comprehensive automotive technical information available.